A romantic drama, Brief Encounter is a poignant story of an impossible yet inescapable love. The setting is England, just before the second world war. 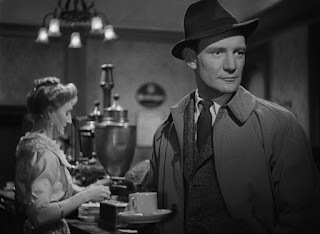 A prologue features Laura Jesson (Celia Johnson) awkwardly separating from Dr. Alec Harvey (Trevor Howard) at the the town of Milford train station refreshment room, as the insufferably talkative Dolly Messiter (Everley Gregg) interrupts their final farewell before he relocates his family and his life to Africa. In a daze Laura makes it home to her husband Fred (Cyril Raymond) and two kids. In her mind, she recounts the events of the past few weeks. A happily married middle-class housewife and mother, Laura visits Milford once a week for shopping and a movie. She first meets Alec at the train station where he helps remove grit from her eye. He is also married and has children, and works at the Milford hospital one day a week. They bump into each other a few times after that, start to enjoy each other's company, and over a few weeks a deep love develops between them. Extreme guilt competes with affection, Laura starts to layer on the lies to hide the affair, and has to decide how much she is willing to risk. Directed by David Lean and based on a Noël Coward play (Lean and Coward also co-wrote the script), Brief Encounter is a slice of real-world romance heaven. Devoid of glamorous stars or exotic locations, this is love most unexpected, most unwanted, in a most unlikely place. The train station, often dark and shrouded by steam, is a mystical transfer point between real life at one end and a compelling dream fantasy at the other, the nondescript refreshment room a decision area where suddenly anything is possible and futures can be rewritten. The storytelling draws enormous power from Laura's matter-of-fact yet agitated narration, methodically spilling her secrets to her husband Fred but only in her own head. With Celia Johnson delivering a superlative and understated performance, the terrible guilt that Laura feels, torn between duty to her family and the suddenness of a new and exciting love, is the fuel on the fire of her raging emotions. Through Laura's devotion to family and modest lifestyle, where a trip into town one day per week provides a highlight, the film hints at the role of Britain's middle class as the backbone of a society where structure rules, habits are entrenched, expectations managed and roles are defined. The country functions because of this discipline, and Laura senses the broader damage her liaison can cause. Stylistically Lean presses film noir shadings into the service of romance, finding the stark contrasts between light and shadow, often a single of source light penetrating an otherwise black screen. The film runs for a compact 86 minutes, and yet Laura's aching experience is made eternal. Sergei Rachmaninoff's Piano Concerto No. 2 provides the rich soundtrack, supplementing everything from budding hope to the precipice of consummation and the creeping comeback of cold realism. Lean populates the edges of the film with the humdrum of common people, mostly oblivious to what Laura and Alec are experiencing. The refreshment room proprietor, the server, the ticket handler and the chatterbox Dolly go about their routines, which suddenly seem so dull as Laura rides an emotional rollercoaster filled with thrills and palpable danger. 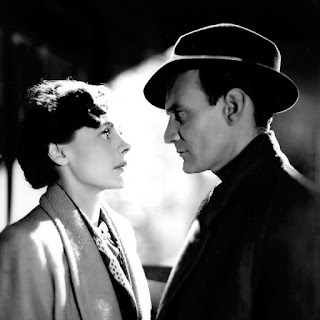 Brief Encounter is explosive in its restraint: two quiet and normal people consumed by a forbidden love, torn between the uncontrollable urge of what feels so right, and the cerebral pull of what is simply right.